The Eastern Roman Emperor, or Basileus, Nicephoros Phocas (Nicephorus II) sent Al-Hakam II fine mosaic glass of many colors, some covered with gold leaf, to decorate the new Mihrab of the expanded Great Mosque. A Greek master came to Cordoba to work for several years on the project, training the Caliph's artisans in his craft. 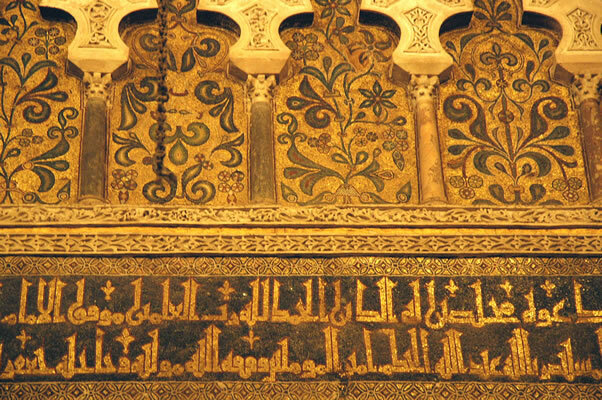 In Arabic, this mosaic work was called fusaifisa.